This song is dedicated to the big loss Brazil encountered today against Germany & how I believe it is TOTALLY FIXED. No host has ever lost this badly in their own country by any team and if you watch the game and see how Germany scored 4 goals in 6 minutes, you will surely see many of the defenders giving it away. Not sure if Germany paid Brazil only or also Argentina/Netherlands too but this looks like a German win for this world cup after a sad display by the Brazilian team especially and I only blame the defenders and not the whole team or missing Thiago Silva or Neymar. I’m sure Brazil will be happy in 3rd place. Sad to watch my team loose like this but we don’t live in a perfect world. Reality is MONEY TALKS and it hurts me to see the beautiful game I love get lost in the world of business or politics especially the biggest competition/event in the world. If you’ve watched the game with Germany vs Brazil, let me know what you think below in this poll and if not, watch it and come back and share your vote. 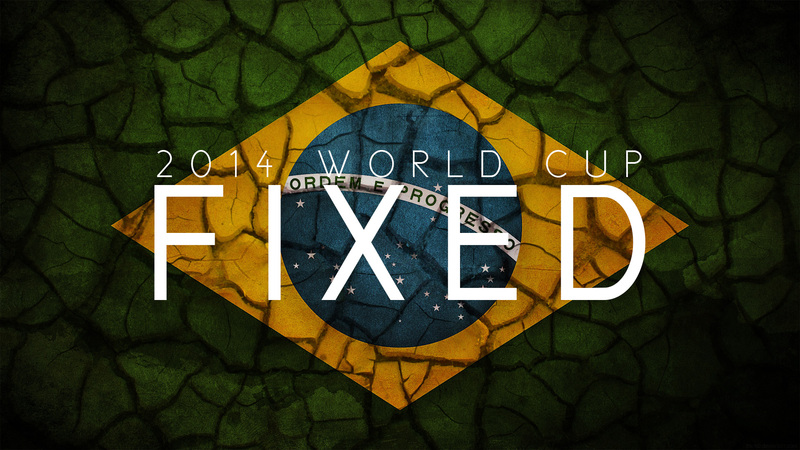 Was the Brazil vs Germany semi-final game (FIFA World Cup 2014) fixed?